A little update for y’all, after yesterday’s catastrophe of an opening night. Mark Newman’s article is now updated a little, under the title: “MLB.TV, season off to flying starts“. Ok, there are a few (a very few) positive comments. But this article is just the tip of the iceberg. There are comments galore on the MLB.tv blog, and the support forums are almost overflowing with complaints and problems. With the usual reply being along the lines of, “its your hardware”. Um, no it isn’t. Its your problem. Its your problem, and it needs sorting. And it needs apologising for. It doesn’t need a bragging article, front and centre on the MLB.com homepage, slapping yourself on the back for your service. That is arrogant beyond belief, and an insult to every single customer who hasn’t received the service that they paid a lot of money for you. from 2008 despite multiple upgrades in features, quality and performance. that can show/hide score spoilers; archived games and more. Last year, with the standard Media Player, I could comfortably stream the highest quality video with virtually no buffering issues or freezing. The picture quality could only be described as excellent. Not only is that terrible quality – I mean it is back to the 400k days from 3 or 4 years ago – but its not even streaming smoothly. It just freezes constantly. Right now I am listening to the voiceover from some advert while looking at a freeze of Jeremy Guthrie. Some two or three weeks ago (shockingly my last post!) I pondered on the potential problems of MLB.tv’s much heralded new player. Judging from the support blog and support forums reactions, my worst fears have been realised on a rather large scale. And the support being offered? A joke. “Try rebooting your modem.” “What graphics card do you have?” “Try reinstalling NextDef.” Ha. If only. You can reinstall NextDef to your heart’s content, and you still won’t be able to access the Hi Def feed. Not that it would stream if you could. I don’t, by any means, claim to be a computer expert, but I know enough. I know that this problem is not at my end – however much the support team wish to make us believe that it is so. This is a spectacular failure on MLB Advanced Media’s part. Trying to launch what is a potentially excellent player with massively limited testing, and with no option of using the tried and tested old player as a backup for when the inevitable happens. Instead, I cannot watch baseball at the moment. I cannot get the product that I paid for. And I am not the only one. MLB.tv is the only way that I can watch baseball. For that opportunity, I am thankful. But I paid a lot of money. And I am not receiving the product as advertised. Hell, right now I am not receiving any product at all. And while me ranting may not achieve anything – it won’t miraculously fix the problem, and I highly doubt that it will get me any form of compensation, it will make me feel better. And to that end, I am going to go against my normal tendencies, and spread this blog post as widely as I possibly can. Sort it out MLBAM. Sort out MLB.tv. Do it now. And apologise. Publicly and profusely. It is the very least you can do. Pretty much every year since I’ve been blogging I’ve posted something around this time of year about MLB.tv. Usually, it has to be said, a complaint of some kind. You see, I have a sort of love-hate relationship with my main source of baseball action. I’m sure that most people who have any kind of interaction with MLB Advanced Media (MLBAM) will understand what I mean. And while I am of course grateful to be able to watch hundreds of baseball games from thousands of miles away, this years post is, to some extent at least, another complaint. I do feel that I should make clear though, that I love MLB.tv. I love the service it provides. I love being able to watch 162 Rays games. I love being able to watch the playoffs, spring training, the WBC and the all-star game. I love having baseball on demand whenever I feel like watching it. Last year, I upgraded from standard to premium, and it was worth every single penny. Or indeed cent. Improved video quality, and the much-needed ability to choose either the home or away TV feed simply made things even better. The problem is, that all that brilliance and accessibility makes the small problems that do exist even more glaring. Take ad breaks. When MLB.tv first started (or at least when I first started using it) the feed simply played all the adverts, as shown on the local TV station. Fine, no problem with that whatsoever. But then MLBAM decided to cut away from the feed during ad breaks. Sometimes to show their own ads for MLB.com, and associated sponsors, and sometimes just to show a placeholder MLB.tv screen. Fine, that’s ok too – I don’t need to see ads for random car dealerships in Pinellas County. It is unlikely that I will be looking to purchase a used Chevy from South Florida anytime soon. But, to cut away from and back to the feed needs somebody to be concentrating on the game the whole time. Which, when there are 15 games (and 30 feeds) on offer, simply doesn’t happen. I have lost count of the number of times when the feed doesn’t cut back in to hear the start of the commentators conversations. Worse, I have lost count of the number of times where the feed doesn’t cut back in time to see the first few pitches of an inning. I can even remember a couple of times when whole at-bats (and on one occasion an entire half inning) weren’t transmitted to MLB.tv subscribers. That is quite simply unacceptable. Then there are picture sizing issues. That was my theme last year. A move to an updated version of media player meant different zooming options were available – and that all broadcasts were presented in widescreen. A move that resulted in 90% of the games I watched last year not taking up anywhere near the whole of my computer monitor when I put them into fullscreen mode. So, this year’s complaint. The new player. First off, can I say for the record that from what I’ve seen so far it is going to be fantastic. Going to be. Right now there are problems galore. Ok, so its only in Beta, but there is a huge amount of work to be done if it is to be fully up to speed for opening day. IF the picture quality truly gives stable, HD-level output, it will be brilliant. But right now the quality setting jumps all over the place for no apparent reason. IF the DVR functionality works properly, it will be truly awesome for anyone who actually has to do other things while the game is on. But right now, it isn’t exactly ready. IF the multi-game and picture-in-picture options work, then it’ll be great fun for keeping track on what’s going on elsewhere. But right now, the viewing experience isn’t even first rate with one solitary game available. Now, there’s still a couple of weeks until Opening Day, so I can only hope that these problems will be sorted. But here’s the thing that has annoyed me, and it strikes me as typical of MLBAM’s attitude to its users. This page advertises the subscription. I cannot see any mention that the player is still only in Beta mode. It looks to me as though it is up and running and ready to go. And, hold on a minute, why isn’t it? I realise that it isn’t possible to fully test its capabilities during the offseason – but surely, if MLBAM were planning to herald its features as a major part of their subscription drive, then they ought least to have been able to ensure that it could successfully broadcast a single feed at a sustained quality level? Its that kind of attitude that annoys me – the assumption that customers will be happy to be used as testers. I mean, I’d be renewing my subscription whatever, but what of the people who looked at that advert and thought, “ooh, hi-def and DVR on my computer? I’ll have some of that!”? They’ll shell out their money, and then find they’ve got to test out an unready product – at least for spring training, and potentially going into the regular season as well. Not exactly responsible business practice. Anyhow, semi-coherent rant over. As I said, I am eternally grateful for the opportunity to watch baseball over the ‘net. I just find the customer relations and cavalier attitude of MLBAM incredibly frustrating. Especially since they don’t need to be. They have a fantastic product to sell. Be honest, be open, be truthful. Develop what they can, when they can. Test it, test it again, release it. The business will take care of itself – and you’ll get easy, good press into the bargain. Not random postings across the internet complaining about your customer service. Maybe it’s just me, but I think I’m talking sense. MLBlogs addendum: If anyone knows how I can change the annoying jjuk tagline on this blog to read John, please please please let me know. I know where the setting is on the dashboard, but it just resets itself every time I change it, and it is really annoying!!! Hmm. So, I was going to write something trying to justify not putting up a single post for over two months. I even started typing it. But let’s face it. There is no possible justification for taking such a holiday right after your team wins a ridiculously improbable American League championship. The dark months of winter have passed (well, February in Scotland is still firmly winter, but you know what I mean…), the American football season is over, and the (proper) football season in England is reaching its climax. And yes, baseball is back. In an odd way, I’m not quite excited yet as I normally am by the time Spring Training kicks into gear. I have a feeling its partly due to the fact that last year I was still watching baseball deep into October – a full month later than I’ve normally closed the book on the season. Then of course, there is the nagging fear – if that’s the right word – of expectations. For possibly the first time ever as a Rays fan, I actually have some. I’m not really sure what to do with that. Frankly, while I know that I have some real expectations for the team this year, I’m not entirely sure what they are. A repeat AL title? Another win in the East? Just getting to the playoffs again? Being happy with challenging the hyper-spending Yankees and Red Sox? I don’t know yet what I’d be happy with. Anyway, as ever in baseball its been all-change over the winter in St Pete. For a start, the Rays aren’t in St Pete at the moment – they’re at their new spring home in Charlotte. Then there are the player comings and goings. In: Pat Burrell, Matt Joyce, Gabe Kapler, Brian Shouse, Joe Nelson. Out: Edwin Jackson, Eric Hinske, Cliff Floyd, Rocco Baldelli, Trever Miller, Jonny Gomes (sad face 😦 ). Plus a few others in both columns. At some point I’ll probably give my thoughts on the new faces, but here is a rather important one for starters – I really don’t know that I’m comfortable having two outfielders called Gabe. And since the last time I posted, Dewayne Staats has a new partner for the TV broadcasts. Not exactly a major news story in the grand scheme of things, but for someone who is limited to watching games on TV, it is important. I’ve already posted on the hard job that replacing Joe Magrane will be, and the man taking on the challenge is Kevin Kennedy. I’ve only read good things about him so far, so fingers crossed. I haven’t seen yet when the first Rays spring training game will be shown on MLB.tv – will have to check on that. Actually, just typing this has made me a bit more excited about seeing them in action again. Excellent. Rays baseball 2009 is go. Possibly the best thing about watching sports live is the connection you feel to the players. You can almost feel like you’re part of the team. My current seats at Southampton football games (for when I am actually back down south) are no more than 10 yards from the edge of the pitch. When I shout, the players (and the referee/linesmen!) can hear. I mean sure, I know that they’re not going to take any notice of me, but they can hear. And when you’re that close, watching them all season long, you get to know them. Not in a personal, go and have a chat way, but you get a feel for their personality, their style – basically of who they are. Its something you just don’t get from watching on TV. And thats what I find sometimes about the Rays. As much as I love watching them, and as badly as I want them to do well, I don’t have that connection to the team that comes with seeing them live. The wonderful thing though about watching baseball on TV is that you can get a connection. Not to the players or the manager, but, thanks to local TV stations showing virtually every game, to the broadcasters. And for me – and no doubt many other Rays fans – that link has always been Todd Kalas, Dewayne Staats and Joe Magrane. To me, they are as big a part of Rays baseball as anyone who puts on their glove and takes the field. And as far as I’m concerned, not only are they Rays institutions, they’re among the very best in the business. Which is why I’m doubly saddened with the news announced earlier this week that in 2009, for the first time ever, Joe Magrane will not be calling the Rays. Its sadness on an entirely selfish level of course – Joe has been hired by MLB network, a fantastic opportunity for him to put his outstanding analytical and personable skills to use in front of a far larger audience (potentially) than he has for Rays games. I’m sure he will do fantastically – he is a brilliant broadcaster – and I do of course wish him the best of luck. I know from experience, from the time (a few months? 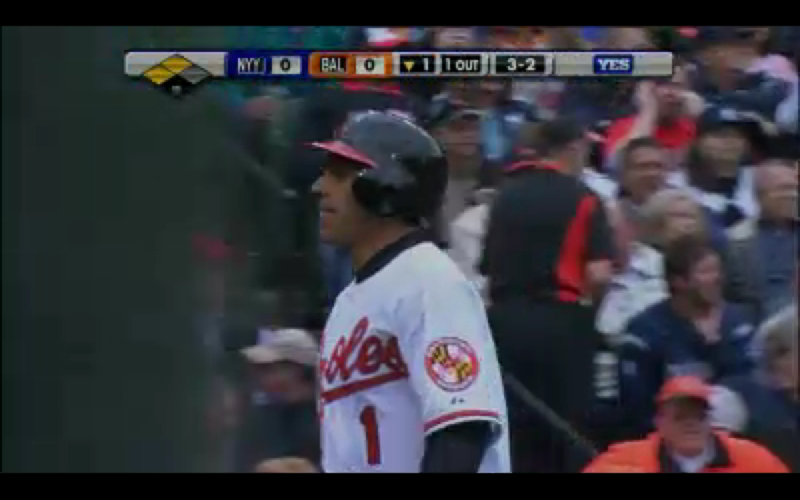 It seems more) before MLB.tv offered both the home and away feed, that not all broadcasters are created equal. Some can be patronising, some can be ignorant and ill-informed, and some can be just downright annoying. But Dewayne Staats and Joe Magrane are none of those things. They are entertaining, informative and – something that is too easily overlooked – talk to the viewers, and not at them. I’m piling up the cliches at a rapid rate now, but watching the Rays with them is honestly like inviting a couple of friends into your house. Now, as far as I know, the legend that is Dewayne Staats is staying on. As is “the strapping young lad” Todd Kalas. And no doubt a new man will come in, and in his own way be entertaining and informative. And we’ll still have Staats’ to guide us through the action. But Rays baseball without Dewayne and Joe in the booth – well, for me at least, its never going to be the same again.